Ruzena Rachel Bock was born in Czechoslovakia. She studied veterinary medicine at the University of Kosice from 1955 to 1962, and worked as a poultry veterinarian in Bratislava for six years. 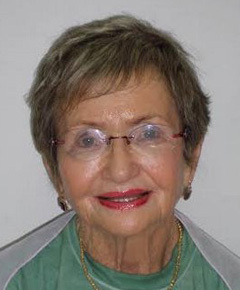 Following the invasion of Czechoslovakia by the Red Army in 1968, she went to Jerusalem to participate in the European WPSA conference, and remained in Israel. She was employed in 1969 at the Kimron Veterinary Institute, Beit Dagan, in the Poultry Diseases Department. A year later, she moved to the Regional Poultry Diseases Laboratory in Rehovot, where after 3 concurrent years of studies at the Koret Medical School, Tel Aviv University, she was promoted to Specialist for Poultry Diseases. During the 1970s, she undertook advanced training in poultry laboratories in Holland and the USA. She was appointed in 1979 as director of the regional Poultry Disease Laboratory, Beer Tuvia, where she worked until she retired in 1998. She then worked for the Ramit company, an exporter of turkey breeders, representing the company in meetings with Czech and Slovak customers and advising local veterinarians on health and biosecurity problems. Rachel Bock has devoted her career to the investigation of all aspects of poultry diseases, as well as dealing practically with outbreaks of diseases on Israeli farms. She has done pioneering work on Ornithobacterium rhinotrachaele, and prepared an autogenous ORT vaccine for use in turkeys. Since 1985 she has served as Corresponding Secretary of the Israel Branch of WVPA and, as such, has assisted Czech and Slovak colleagues in creating new Czech and Slovak WVPA branches. She has presented papers at many national and international conferences. She has been awarded many prizes in Israel and abroad. In 2007 at the WVPA Congress in Beijing she was made an honorary life member of the WVPA. In 2010, at the WPSA Congress in Jerusalem, her name was added to the Golden Book of the Israel Foundation, the highest recognition for her contribution to the Israeli poultry industry. Rachel is known as a very positive, helpful and friendly person. Widowed, with a daughter, Sonia, grandchildren J’aara and Uri, and great–granddaughter Ravid, she enjoys fitness training, indoor cycling and yoga, and hosting and cooking.